Comedy King Kapil Sharma's film Firang Tailler has been released. In it Kapil will be seen in the role of Ishita Dutta and Monica Gill Leam Female Actress. Most of the shoots in the film have happened in Punjab and Rajasthan. In the trailer is the story of a boy from Punjab who considered the country to be a slave of the British as good. Nobody considered his movements to be so wise as this manga. In Kapil's film, there will be many other colors of comedy as well. 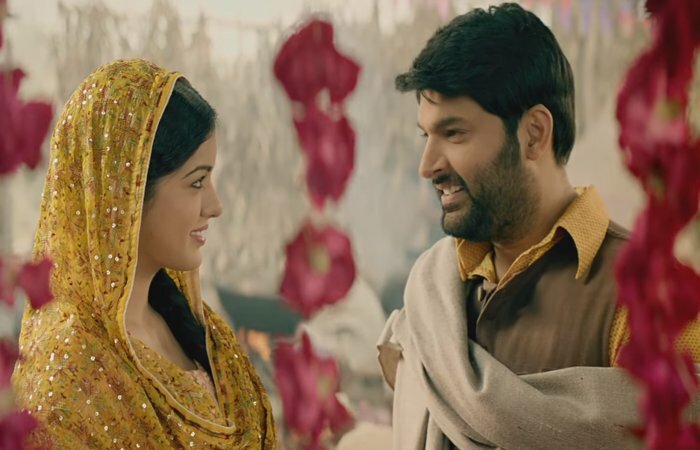 Kapil Sharma is preparing to make a comeback in the cinema house from the TV after film Kis Kisko Pyaar Karoon. After two years, Kapil is returning to the big screen. In the film, he will pair with Ishita Dutta and Monica Gill. The film will be released on 24 November 2017.